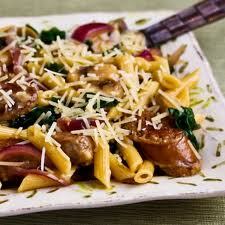 Pasta is an internationally loved food that is eaten and enjoyed by millions of people outside of its Italian origins. Growing up as a child, your family may have had its own favorite pasta dishes including traditional spaghetti and meatballs, lasagna or pasta salads. In addition to the myriad of pasta recipes, there are also different pasta varieties sold today ranging in shape, size, color, texture and taste. Put a unique spin on lunch or dinner today by cooking with different pasta varieties and change up your meal routine! A favorite among pasta varieties, the long, skinny spaghetti is one of the oldest pasta types. Spaghetti pasta is traditionally made from semolina or durum wheat but in recent years more ingredients have been added depending on the makers. Prepare a classic spaghetti dish by topping strands with a simple tomato sauce, basil and a sprinkling of cheese. 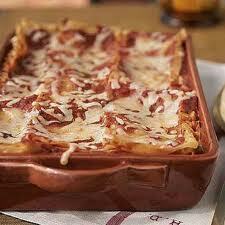 The cartoon character Garfield is well-known for his hefty appetite including an extreme love for lasagna. Made with flat sheets of pasta, typical lasagna recipes involve layering a pasta sheet with sauce, cheese and chopped up vegetables such as mushrooms and bell peppers. 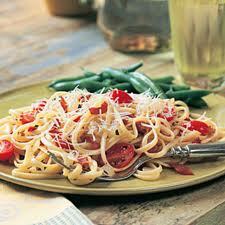 Similar to spaghetti pasta, linguine is also a long and lean noodle but boasts a flattened shape. Linguine pasta varieties also come in thinner forms and are known as linguettine. Serve this tasty delicacy with a pesto sauce and shrimp for a seafood meal that is sure to delight. 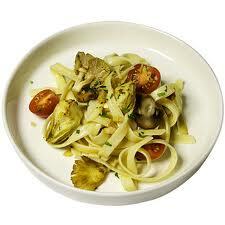 Fettuccine pasta is made with egg and flour and, although flat, is much thicker than other varieties such as linguine. A classically favorite dish is fettuccine alfredo in which noodles are served in a creamy white alfredo sauce. This meal is also higher in calories and fat than tomato-based pasta dishes so try reducing the cream and using low-fat ingredients to watch your waistline. 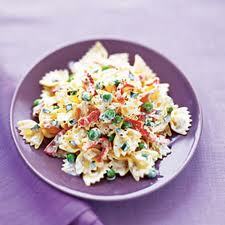 Farfalle is the humorous name of pasta varieties that are shaped as bow ties. 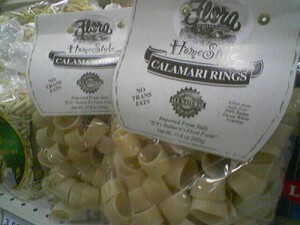 Its bow-tie shape comes from cinching a square of pasta in its center to make it look like the fashion item. Try making farfalle pasta for kids as they will eat up the fun shapes when served with homemade tomato sauce and vegetables. 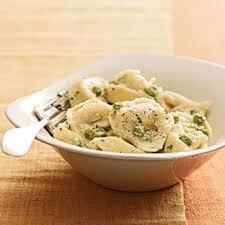 Shaped like a belly-button, tortellini pastas are fun pasta shapes to cook and eat with. Tortellini particularly makes a great addition to a bowl of hot soup or comforting soup filled with chicken broth and mixed veggies. Although cannelloni may be served as an appetizer, this pasta dish is filling enough for a meal when stuffed with the right ingredients. Long sheets of pasta are rolled to create “pipes” and then dried. 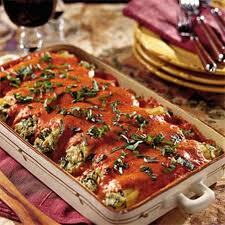 Cannelloni can be cooked until al dente, then stuffed with cheese, spinach, sauce and meat such as lean beef or chicken and baked for a deliciously decadent meal. This pasta variety is a fun variation for kids but also a more sophisticated pasta shape for adults. The circular, small and shorter version of cannelloni noodles are hollow to hold light sauces and more date-friendly than spaghetti pasta since it can be eaten in one bite. 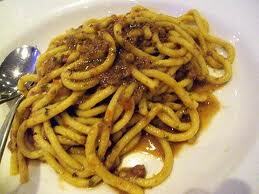 Bigoli, lesser-known pasta, is actually the Venetian name for pasta that is as long as spaghetti but thicker in form. Traditional bigoli has been made with buckwheat flour or whole-wheat giving it a darker appearance to pastas made from semolina or durum wheat. Calamari originated from the city of Naples in Italy and is typically paired with seafood for a mouth-watering seafood dish. Its name beckons from the squid dish of calamari where the thick pasta rings are dyed with a black squid ink for a similar effect.